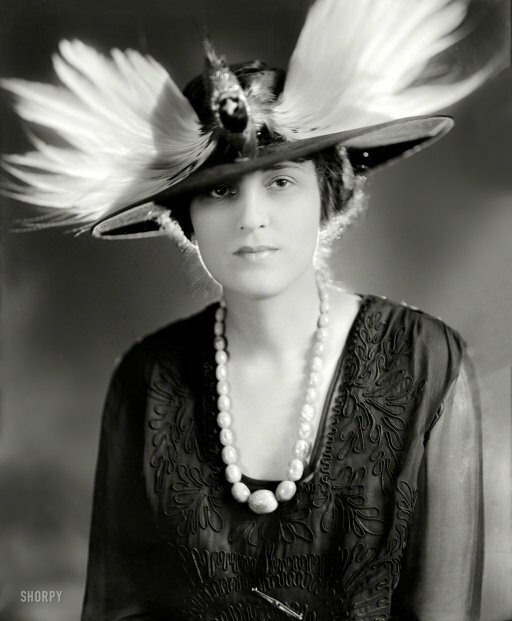 At the turn of the 19th century in the U.S. and Europe, it became wildly popular — and that’s an understatement — for ladies to wear feathers and whole taxidermied birds on their hats. 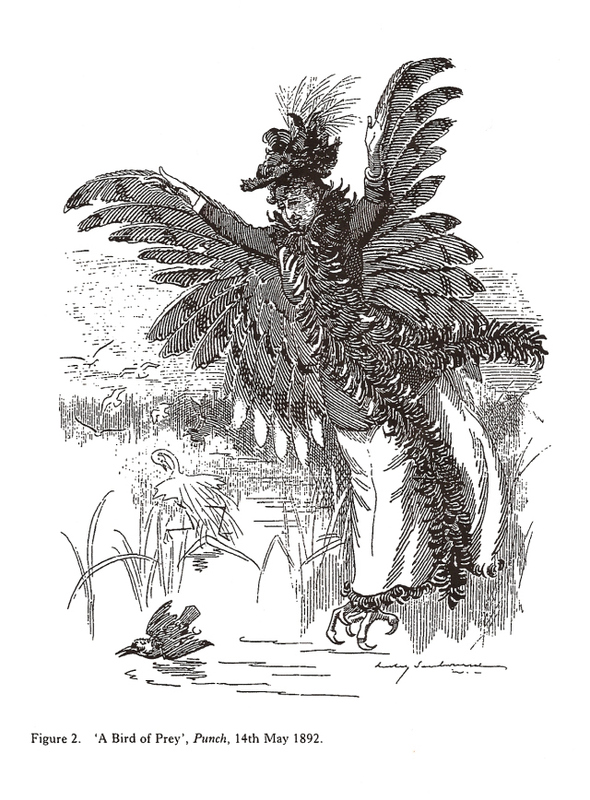 One ornithologist reported taking two walks in Manhattan in 1886 and counting 700 hats; 525 of which were topped by feathers or birds. Buzzfeed has a collection of vintage hats featuring birds. A single 1892 order of feathers by a London dealer… included 6,000 bird of paradise, 40,000 hummingbird and 360,000 various East Indian bird feathers. In 1902 an auction in London sold 1,608 30 ounce packages of heron… plumes. Each ounce of plume required the use of four herons, therefore each package used the plumes of 120 herons, for a grand total of 192, 960 herons killed. Ornithologists started to sit up and take notice. One estimated that 67 types of birds — often including all of their sub-species — were at risk for extinction. Not only were birds killed for their feathers, they were killed when their feathers were at their most resplendent. This meant killing them during mating season, interrupting their reproductive cycle and often leaving baby birds orphaned. Virginia Woolf went for the jugular, pointing out that — even though the image shows a woman swooping down to kill a bird — it was largely men who did the dirty work of murder and they were also the ones profiting from the industry. Why there should be any sympathy or sentiment about a long-legged, long-beaked, long-necked bird that lives in swamps and eats tadpoles. Ultimately the Massachusetts Audubon Society succeeded in pushing through the first federal-level conservation legislation in the U.S., the Lacey Act of 1900. Jennifer Price's book Flight Maps: Adventures With Nature In Modern America has a whole section dedicated to exploring the Audubon Society’s founding campaign in the 1890s against the extravagant use of stuffed birds to decorate women’s hats, and how that relates to modern environmentalism and feminism. Culture is formed through the internalization of ideas learned from others and is reformed in part through the weariness that follows hyper-addiction to recycled Ideas. Amazing how the injection of unnecessary feminism can turn an interesting story into complete horseshit. I don't see any mention of dinosaurs in the text. Did I miss something regarding the title of the story?